Are people really this jobless? Apparently so,everyone wants to be a star nowadays and they don't mind how mundane or stupid the route to that might be. Super bowl ,calling it incitement and hate-filled towards cops. Apart from initiating a #BoycottBeyonce hashtag,protesters will be swarming around NFL headquarters next Tuesday (Feb. 16) for an anti-Beyonce rally following her salute to the Black Panther Party during the Super Bowl 50 halftime show.
" Join us as we demonstrate on the block of the NFL Headquarters building. 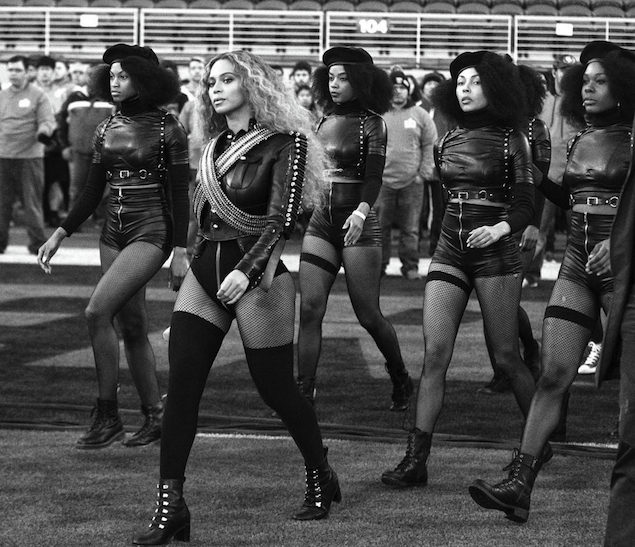 Are you offended as an American that Beyoncé pulled her race-baiting stunt at the Superbowl? Do you agree that it was a slap in the face to law enforcement? Do you agree that the Black Panthers was/is a hate group which should not be glorified? Come and let's stand together. Let's tell the NFL we don't want hate speech & racism at the Superbowl ever again!"